I have to wonder if this is being used in other markets. Their website has a similar ad, but it’s nicer to think that this is just a DC thing. 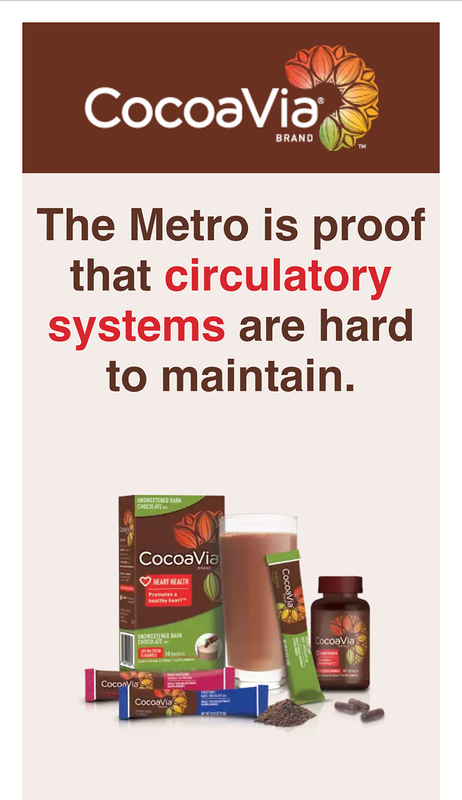 Unfortunately for CocoaVia, more of us in the area need a transit health makeover than a heart health one. But you gotta respect that effort. Very clever. I try to notice local ads on the train as it helps me find out about local events or exhibits, but this one gave me a smile on my way in. And frankly, if an ad isn’t going to succeed in selling me something, at the least it gives me a laugh and gets me to talk about it.